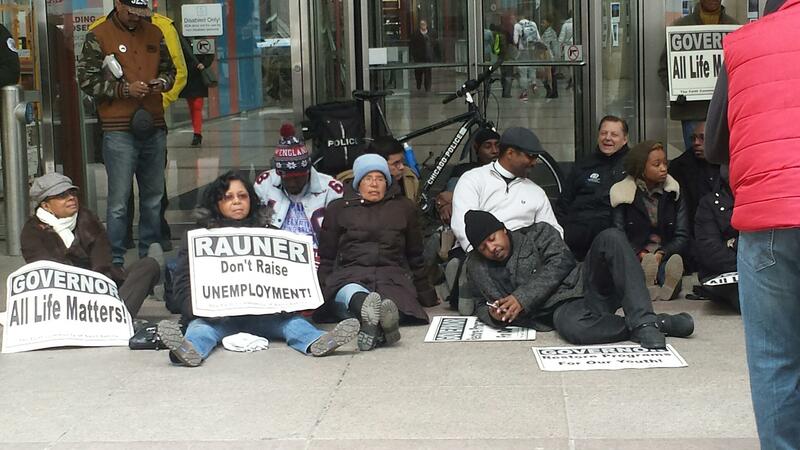 Come join us in “The Sit In and Rally” FRIDAY, MARCH 20, 2015 AT 11:OO AM AT THE THOMPSON BUILDING, 100 WEST RANDOLPH…in Chicago! Fighting for proper justice MEANS GETTING INVOLVED. For some of the oddest reasons people always believe that certain situations can’t and wont effect them. The sign of the times have been here for a while. Violence, unemployment, homelessness, broken economic system and abuse of is depleting this country no matter where you live. When this nation continues to face senseless cuts, and infractions within our justice system is will surface in many other ways. 1)Simply educate yourselves not just with current every day news media, look into other avenues including reading your history. this requires action! 2) Social Justice requires that you seek the truth and often they might go beyond mere facts. We must get involved! 3)You don’t have to always protest with signs. Some are very well define in sending emails to tapping the phones banks telling the government and all that it concerns what we wont’ tolerate and what we expect. 4) Sometimes finding a place to give monetary donations contributes to a stronger environment. We have to be selfless and propose a higher standard of living… and that might be through our local safe havens, parks, churches and other non-profit organizations. A positive mind channeled in the right directions…spread awareness, responsibility and acute accountability! A lending hand to re-solidify this country with morals and standards especially in this country! We have to continue to reach one to …teach one! HAIL, HAIL THE TROUBLE IS HERE…WHAT THE HECK IS THE REAL STATE OF THE UNION? I will be quite honest I didn’t give to much of an ear to the “new” Governor of Illinois . I am already feeling a little dismayed when the poor is still struggling and he is pulling the plug on many programs that will send the State of Illinois into more tail spin. What is there to think about? Why didn’t I listen? I find it a little difficult to take anyone seriously who comes through the door with upgrading his people financially and disregarding what has been already executed by the Former Governor. What is there to explain a lick for a lick??? I find it odd that regardless of what was in place and needed to be re-evaluated had no problems looking at an unbalanced budgets for the new staff… Yuck! Where is the “real” checks and balances on what the former Governor Quinn has done and criticized him for at least trying to get the state back on track. It’s easy saying what you are going to do without “first” getting in office to see exactly where some of the major problems lies. Oops!! !… Giving out raises! And then here comes the sonic boom… You give your people raises before we can even get started on your watch. Some may feel that it isn’t fair that I didn’t take a listen I rather read it. Why do I feel like we are not going to have that many opportunities and options on the Governor’s watch? I see something else but I of course I rather preach about it instead of writing about it. What is happening to the youths, at risk teenagers… single parenting without money for education and or child care. 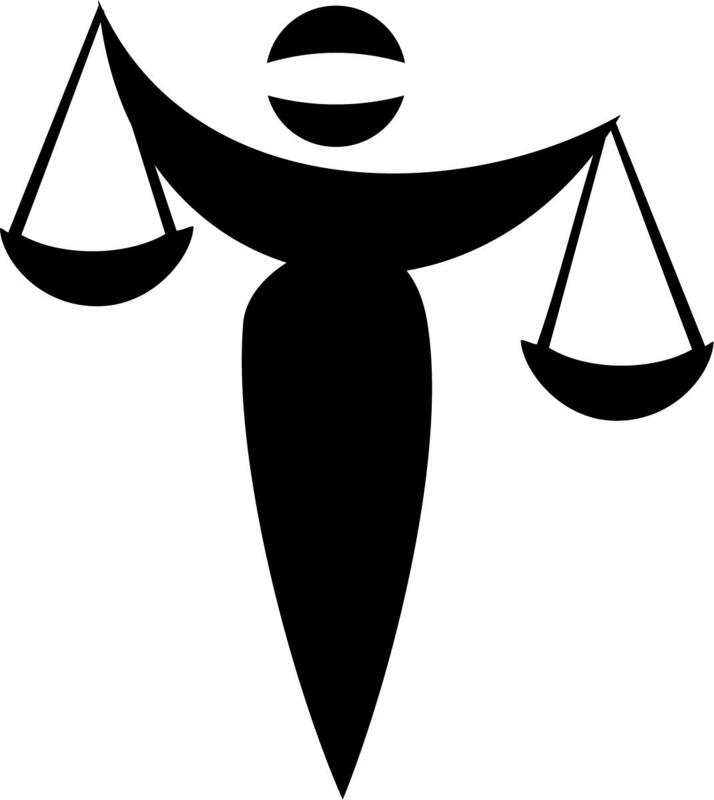 Quickly some like to come to judgment about people of color “abusing” the system when many of the lying politicians are still having problems with racial equality and give people of color limit economical mobility! Shame on you! I agree “Illinois” has more politicians with college educations that wear their new fashionable “orange” gear. Where is the real sense in sensibility when many fail to recognize any situation can put you behind the “eight ball”? Although with some it’s always black and white without the shades of gray. How quickly we say we care and that government is trying to put Illinois back on the map… when have already proven who is going to be put to work! and who is going to reap the money. If you think Illinois already have enough challenges finding a job, a decent education, affordable housing, good paying jobs without the whole household going to work including the dog! Think again! We are going to have to stand up and speak up and get rid of the filth before it tries to eat us out of house and homes for those who struggle to keep them. Even in the United States cutting “Social Security” shouldn’t even be an option in actuality there is a surplus that no one is speaking about. How dare you say land of the free and home of brave…more like for “some” get ready to starve! 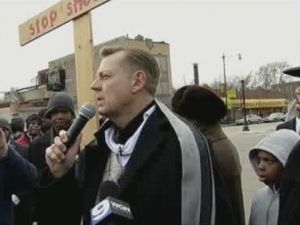 Tuesday, February 3, 2015… Pastor Pfleger, will gather at the State Of Illinois Building at 100 West Randolph….at 12:30 pm… To protest the Governor’s decisions to cut funding for Afterschool programs, Youth Employment and Day Care Expenses. If you can attend please join him, these cuts adversely all of us. It’s up to the citizens of Illinois to express that these programs are important and very much necessary!